As the Internet of Things (IoT) grows at an exponential rate, it exposes many new attack surfaces for cybercriminals to exploit. With industries such as transportation, energy production and whole cities being transformed by the potential that IoT offers, security becomes an even greater concern. 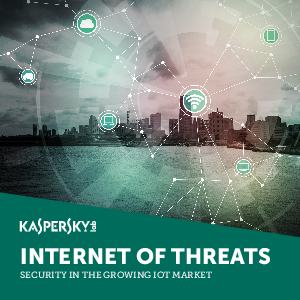 Download our eBook, Internet of Threats: Security in the Growing IoT Market, to learn what you can expect from the oncoming wave of connected “things.” How will businesses respond to the concerns of consumers? Can cities keep people moving safely and efficiently? How is the automotive industry responding?